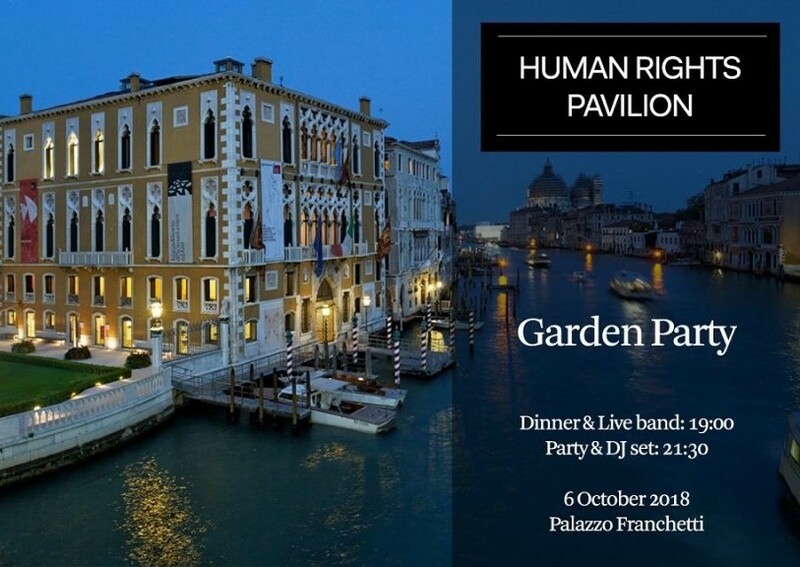 Following the partnership agreement signed in 2017, Fondazione Berengo and the European Inter-University Centre for Human Rights and Democratisation (EIUC) / Global Campus of Human Rights are organizing the first “Human Rights Pavilion”, an international and collective exhibition reflecting on the relationship between arts and human rights, that will take place from May until November 2019. The Kickoff Fundraising Party of the project took place October 6th, 2018 at Palazzo Franchetti. The program of the night included a welcome cocktail, dinner with live music, a visit of the exhibition MEMPHIS – Plastic Field, silent auction with glass artworks donated by Berengo Studio 1989, and a party with djset. For more information about the “Human Rights Pavilion” click here. You can support the project by donating to our crowfunding campaign.